This fun resource include more than 50 games, crafts, and toys using simple paper plates that teach major stories from the Bible in a fun and meaningful way. Each activity includes a mini-lesson, Scripture reference, and related verse. 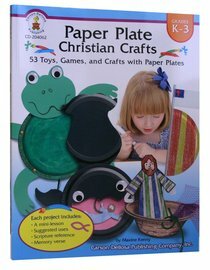 About "Paper Plate Christian Crafts (K-3)"